Share this product and receive a $3.87 sharing discount. This beautifully engraved old fashioned door and knob pendant serves as a reminder to “Ask and it will be given to you; seek and you will find; knock and the door will be opened to you." The words Ask, Seek, Knock and Mat 7:7 are inscribed on the back. 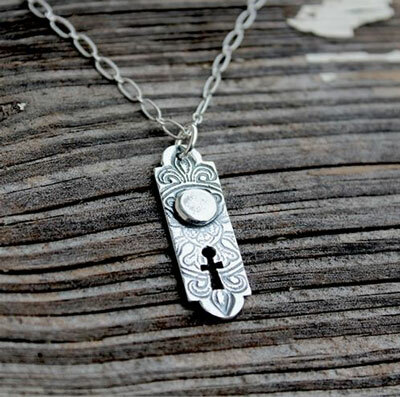 This pendant also features a key hole Cross cut-out at the bottom. 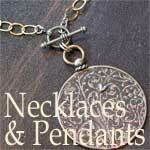 This pendant is 1 1/4" tall and a little over 3/8" wide. It comes on a 18" Long Short oxidized pattern cable chain.